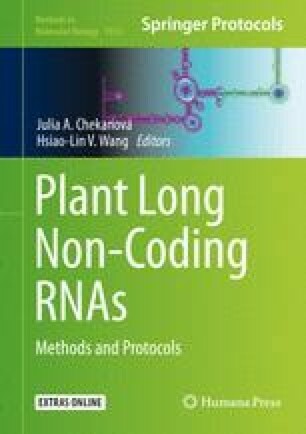 Plant long noncoding RNAs (lncRNAs) play important functional roles in various biological processes. Most databases deposit all plant lncRNA candidates produced by high-throughput experimental and/or computational techniques. There are several databases for experimentally validated lncRNAs. However, these databases are small in scale (with a few hundreds of lncRNAs only) and specific in their focuses (plants, diseases, or interactions). Thus, we established EVLncRNAs by curating lncRNAs validated by low-throughput experiments (up to May 1, 2016) and integrating specific databases (lncRNAdb, LncRANDisease, Lnc2Cancer, and PLNIncRBase) with additional functional and disease-specific information not covered previously. The current version of EVLncRNAs contains 1543 lncRNAs from 77 species, including 428 plant lncRNAs from 44 plant species. Compared to PLNIncRBase, our dataset does not contain any lncRNAs from microarray and deep sequencing. Moreover, 40% of entries contain new information (interaction and additional information from NCBI and Ensembl). The database allows users to browse, search, and download as well as to submit experimentally validated lncRNAs. The database is available at http://biophy.dzu.edu.cn/EVLncRNAs. Bailing Zhou and Huiying Zhao contributed equally to this work. The National Natural Science Foundation of China [61671107, 61271378], Taishan Scholars Program of Shandong province of China [Tshw201502045], National Health and Medical Research Council [1059775, 1083450 to Y.Z. ], National Health and Medical Research Council Early Career Fellowship [1091816 to H.Z. ], Projects of Science and Technology for Colleges and Universities in Shandong Province [J15LE09 to F.S. ], Taishan Young Scholars Program of Shandong province of China [tsqn20161049 to F.S. ], and Talent Introduction Project of Dezhou University of China [320111 to B.Z. ].